As you render your next masterpiece on your favourite DAW wondering what label will do justice to your hard work, it can be a daunting task finding a label that is supportive of your music and vision, sometimes more than the music writing process itself. We’ve complied a list of established labels that are open to demos from upcoming and veteran producers alike. A release on a quality label, for a producer/artist is much like an athlete going professional. Finding the right label for your sound is just as important as the creative process, it is after all where your sound will find a home. It helps to do a fair bit of research from your end before you send your track out. More often than not labels receive music which simply does not fit their sound and there’s no way in hell that they’re going to reply to you if you send an unprofessional email or cc a bunch of different record labels within the same mail. It’s most advisable to send your music to one label at a time through a private Soundcloud link with the download enabled, that way you’d know that they have heard the track when you see that the same downloaded. (It’s not the prettiest site when a label receives a track and someone else has already downloaded it, which from their point of view might mean another label) Most labels will not reply immediately even after the sound is downloaded. Give them a couple of weeks to a month to reply, depending on the label, it’s not uncommon for some of the bigger labels to reply after even six months to a year, depending on how full their current roster is. Do keep in mind that the label you sign your music with is equally invested in the success of your music as you personally are. Sometimes it’s the things that go most unnoticed by artist, that push the track forward from a consumers point of view, such as quality artwork and a strategic release/ schedule date. The artwork after all is an important aspect as it’s the packaging of the product. Most labels will use a uniform structure to their art whilst incorporating elements of your tracks identity within the same. A few things to keep in mind are the labels remix roster, since the label will be responsible for your tracks being remixed. 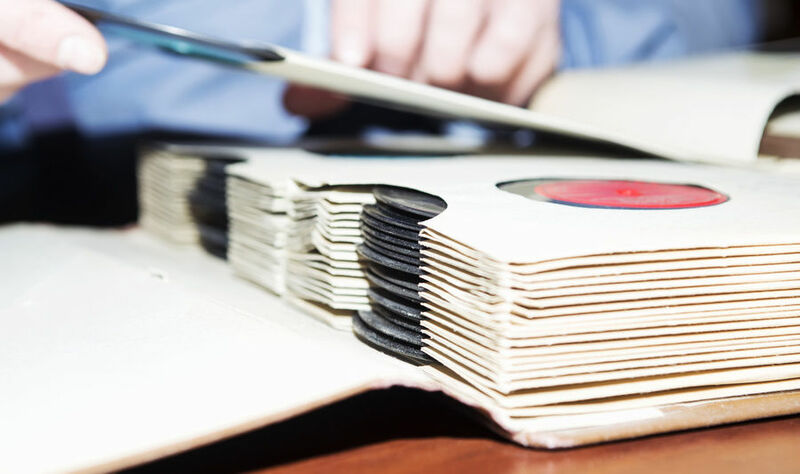 Most quality labels will feature releases with a quality over quantity approach, whereby you wouldn’t find them releasing material every other week, with a healthy balance of various release formats ranging from compilations, EP’s, Albums etc. Another important factor to keep in mind are the labels promo list and Distribution platforms which covers the reach of your music, the label is responsible (just as much as you are) for sending out your music to like minded artists who may incorporate the same in their sets. A great way to find the same is to view, which artists have charted music earlier from the label you’re looking to sign with. If the label is putting out music only through Soundcloud for example, then it’s not all too different from you sharing your music independently through the same platform. This also means that you’re restricted in terms of availability. Most labels follow a standard 50/50 revenue share, which is usually paid over each quarter after you hit a certain number (usually $50-100) and some of them also offer an upfront fee, which means you won’t be eligible for any claim on the actual sales, however this is uncommon for an upcoming producer. Here’s a compilation of labels divided by genre fulfilling the above criterion and looking to sign new talent. London based Sinnmusik are well recognized for their unconventional and often eccentric take on House music. Deep and atmospheric, with driving percussions and hefty old school bass lines seem to be the labels signature. It’s only logical that they find themselves charted by legends such as Jimpster, Ben Gomori, and The Mekanism to name a few. Dutchie music, based out of Miami, has over a decade of experience behind them, their sound can broadly be classified as good old school House music, deep chords, funky bass lines, melodic while not over ridden with atmospheres, with clear influences from disco and jazz. Madhav Shorey and Gaurav Malaker‘s, New Delhi based label has been making waves in the Techno scene since it’s inception in 2010. Providing a platform for intelligently produced minimal, dub and progressive techno. The label has also ventured into the sphere of electronica with their last two volumes of Forte. Dark, twisted, and heavy hitting Techno, leveled by equivalently picturesque melodic tech and electronica releases. “We’re constantly looking for upcoming talent since the philosophy of the label has always been about pushing the boundaries in terms of sounds and trends to stand for something that’s unique and stands out of the usual trends we find in dance music today. I think it’s very important for a label to support producers that are willing to take risks which is why we like to back such artists, even if they’re small and unknown at the point. In the past we’ve had artists like Jitter, SHFT and Midnight Traffic amongst many others that have had their first releases with our label and now are established and growing artists. In the near future we’re looking at signing some music from artists like Varun Fernandes and Greinum. It’s quite impressive what Bangalore based artist collective Consolidate has achieved in a short period of time since its inception. The pure quality and variety of releases in itself is commendable. Whether it’s Sandhya Visvanathan’s spell binding vocals with Machli , Sulk station‘s emotive pads and organic beats, Oceantied’s exceptional take on bass music, Blent’s haunting atmospheres or Worm’s Cottage rapping through an intricate plot, where a man shoots and kills God to save the human race, each release, more unique than the last. One might argue that the music being pioneered by the label/collective is esoteric in nature. This however is exactly what the alternative/experimental music scene is about and what in fact, makes the label/collectives’ work stand out, even further. Juicbox Music spearheaded by dexterous Producer and DJ Praveen Achary boasts a catalog of quality releases, the label itself was established with the idea of featuring releases from established international and domestic artists, as well as to nurture upcoming talent. Staying true to its principles, the releases range from well-established names in the industry, to fresh talent, both domestic and international. Featured artists on the label include, Aman Anand, Ablekid, Audio Units, Cactus Twisters, Dale Middleton, David Granha and many more. Founded by Michael, Leavn and Stiven Rivic, Georgian based Mistique music has released records from legends such as Rick Pier O’ Neil, Namatijra, Micheal & Leavn and Stiven Rivic themselves. The label prides itself on publishing absolute quality music from up and coming producers, as well as established artists.Their sound whilst moody, progressive and melodically driven stays true to the dance floor, and ever so often borrows influences from Techno and the deeper side of house music. Delhi based record label Wind Horse, owned by DJ Hamza is the go to for quality Deep House, Electronica and of late experimental electronic music. Whilst bringing out the best from homegrown producers the label has seen remixes and releases from legends like Spirit Catcher, Inland Knights, Steve Mill, City Soul Project, Juan Mejia, Harold Heath and Ross Couch. The sound itself is melodic, moody and uplifting, yet, not venturing into darker spaces. Based in Bulgaria, founded by DJ Lion(Zhivorad Milich), Balkans underground music pioneer, Patent Skillz has been pushing the envelopes of the Techno and Tech House scene for quite sometime now. The label has had releases from Shosho, DJ Lion, Metodi Hristov, Gallya, Truemode, James Hopkins, Tomy Wahl, and Chris Drifter among their vast catalog of legendary artists. With a sound that’s clean but leaning towards industrial influenced Tech, and old school Techno, intelligent, intricate and heavy. Digital Om Records based out of India and Nepal, promotes and promulgates psychedelic trance and all of it’s sub-genres. It has been globally recognized with releases form Vertical Mode, Sonic species, Djantrix, Relativ, Audiofire and Starlab to name a few. The label aims to promote a vibrant music culture with a permanent impact on its listeners.